Shiatsu is an ancient Japanese therapy that literally translated means ‘finger pressure’. Like acupuncture, shiatsu works on pressure points and meridians, or energy pathways. 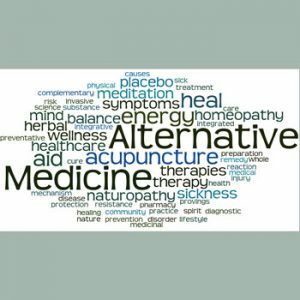 But instead of needles, a shiatsu practitioner uses their fingers, thumbs and sometimes elbows, knees, hands and feet to massage pressure points and meridians, restoring balance to the flow of vital energy, or Qi, in the body. Shiatsu is both relaxing and invigorating. It can be particularly effective for joint pain and reduced mobility, musculoskeletal and back pain, headaches and migraine, digestive disorders, anxiety, depression and grief. You’ll feel the benefits from a single treatment, but to maintain good health or to treat certain conditions, several treatments may be recommended. Seeing a qualified practitioner gives you the opportunity to discuss your condition with a professional with years of training and experience. Your practitioner will consult you about your general health, lifestyle and any particular symptoms. You’ll then lie down on a padded mattress on the floor or sit in a chair. Wear loose, comfortable clothing as you’ll remain fully clothed. Depending on your symptoms and energy levels, your therapist will use a number of techniques ranging from gentle palm holding and finger pressure to more dynamic stretches and rotations.